ST. PETERSBURG — The thought of spending a relaxing summer day attending a four-day workshop doing schoolwork was not appealing to Nadya Riley. Just think about all the things a high school student could be doing during the summer months where no alarms are sounding to get out of bed for school, bells ringing to change classes or massive amounts of homework. It’s not every day that you get more than 30 high school students to sit in a room for four days, seven hours each day, during the summer. But, Dr. Mychal Wynn and his wife did just that! And, of course, the parents who took the time to invest in their children’s future had a little something to do with it too. 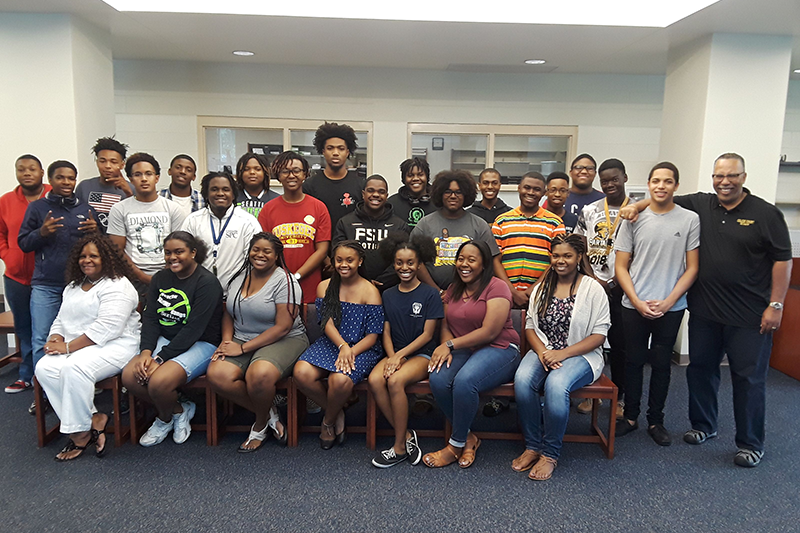 From June 18-21, Nadya attended the College Planning Boot Camp at Gibbs High School, which was organized by Dr. Lewis Brinson, the Minority Achievement Officer for Pinellas County Schools. His objective is to give minority students more insight into the college planning process and to marry their personality to a school that will best ensure their success. “My initial thoughts about attending the four-day workshop were met with some hesitancy, but I care strongly about my college future and wanted to make sure that I had the best plan going forward into senior year,” said Nadya, whose mother, Tonja, encouraged her to attend because she knew it would alleviate stress about being ready for college. Led by author, educator, motivational speaker and college planning expert Wynn, Nadya said the first thing she recalls him saying was that her “blackness” was actually an asset since universities are looking for a diverse and well-rounded student body. She was happy to hear that schools will pay special attention to minority groups, especially blacks and Latinos, to give them equal opportunities. Some of the most prestigious schools in the country have programs that invite students to their campus. College diversity weekend programs pay for high achieving seniors–usually of low income, first generation or of color–to visit their school. These programs give teens who cannot afford to travel out of state the opportunity to experience college life. “It felt good to be in a room full of black students and educators, especially since I was so often surrounded by white students and teachers in my classes,” revealed Nadya, who said the information was retained better because it was aimed at her. Nadya said Wynn did everything in his power to make sure that the future college graduates had a well thought out college plan and direction going into their senior year. 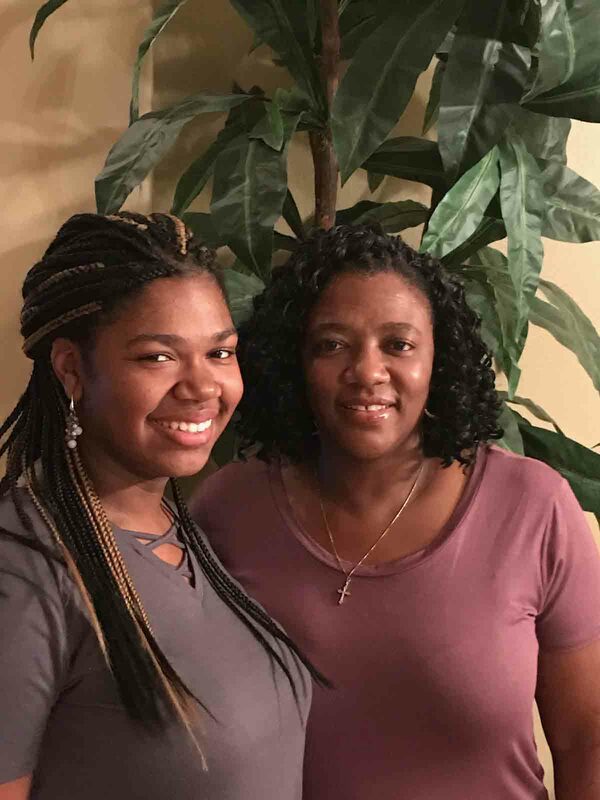 She is thankful for learning so much information about the college application process that she would not have known otherwise. Although it seemed overwhelming at times, the students expressed how beneficial it was to sit down and think seriously about their college plans. After the success of last month’s camp, Brinson is working to assure that the program is ongoing, which Nadya will be glad to hear because she said the program would not only be advantageous to seniors but to freshmen, sophomores and juniors alike. College Planning Boot Camp demonstrations the benefits and possibilities of a college education. The hands-on experience in learning how to navigate through the financial aid maze, learning how to network and having the chance to talk to other students who are facing the same challenges are invaluable. If you are a student who would rather sleep in or take the summer off instead of going to a classroom to research colleges, remember: listen to your mother because she usually knows best.